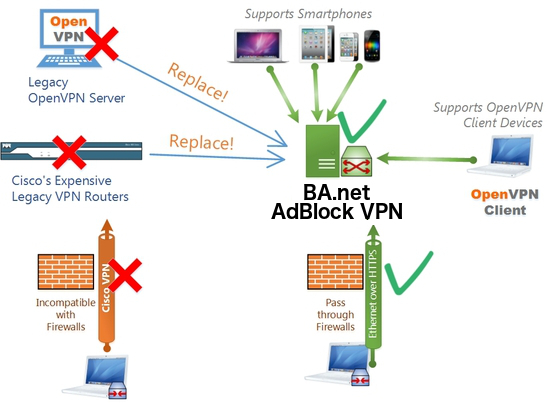 Easy to use Content Filtering, AdBlock and Malware Protection for Businesses of all sizes. Serve all your employees, road warriors, teleworkers using the same flexible solution. No per user costs. We do VPNs all day, everyday. We can also help you with mixed environments. Palo Alto, Fortigate, Cisco, Sonicwall, Asus WRT. Our team has 20 Years of ISP and MSP experience.